Getting Governance Right: Learning from the failure of the DAO. The benefit of Blockchain is trust, the challenge is cooperation. In the end, it is all about connecting people. From the very beginning, Swarm has prioritized a governance system which we believe will yield the most utility for the largest number of users. Starting immediately after our token sale, SWM Token holders have exercised their voting rights in our liquid democracy via several ballots to determine the structure and direction of our organization. That date has come and gone without a subsequent vote. Why? As we worked on the governance model in collaboration with our developer team and legal counsel, we identified essential technical and legal elements that we felt needed to be part of the solution before presenting the proposed governance model to the community for vote. Community governance is core to Swarm, so considerations including the role which different bodies in the organization hold and the proper workflow to facilitate community decisions are crucial to get right. Add in the evolving regulatory environment and it was further clear that we needed more time to get this right. This is a process, and you have our commitment to transparency in that process, and to being conservative in rollout, thanks to lessons learned from the DAO and from our experienced team of developers, advisors, and attorneys. We are anticipating to have our proposal for the next iteration of the Swarm governance model ready in June, so that we can discuss it with the community and hold a community vote to ratify it. We aim for complete transparency and collaboration with our rapidly expanding Swarm community. With this in mind, and in advance of that governance proposal, we will share a series of blog posts elaborating on the principles and implementation of governance on our platform. This, the first, will elucidate the structure of organizational governance on our platform, beginning with the Swarm council. We learned that DAOs need to be rolled out very carefully and most importantly of all, gradually. All similar projects going forward should consider starting partly centralized with the training wheels taken off step by step. Much is made of the idea that blockchain technology is bound to beget a trustless utopia. Systems dependent on distributed ledger technology are inherently resistant to collusion by bad actors, after all, due to the decentralization of information and power. What role, then, has governance to play in a system whose primary advantage is the fact that agency is so distributed among community members? As it turns out, experts agree: a crucial one. Governance is commonly defined as the establishment of policies, and continuous monitoring of their proper implementation, by the members of the governing body of an organization. In the case of a decentralized autonomous organization, or DAO, the “governing body” is everybody. While this is the ideal sought after by blockchain enthusiasts (and what many blockchain companies purport to be), a functional, self-governing community of individuals does not just spring, fully-formed, from the ether. Rather, a successful DAO will be the result of a set of parameters and potentials around which people and entities willingly gather and organize themselves. Foundational principles germinate, permeate, and propagate the community. Right governance is the element that ensures the successful maturation of these ideals from seeded ideas shared by a handful of people into a massive paradigm shift made manifest. The Swarm Fund Organization is an unincorporated non-profit entity, designed for a future that is decentralized, but one that is achieved over time, taking lessons learned from the DAO. Only two constituencies will be governing the Swarm Fund organization: the SWM token holders and the SWM council. The design of the organization includes two important vehicles for the community to govern as it grows: delegation and the SWM Council. 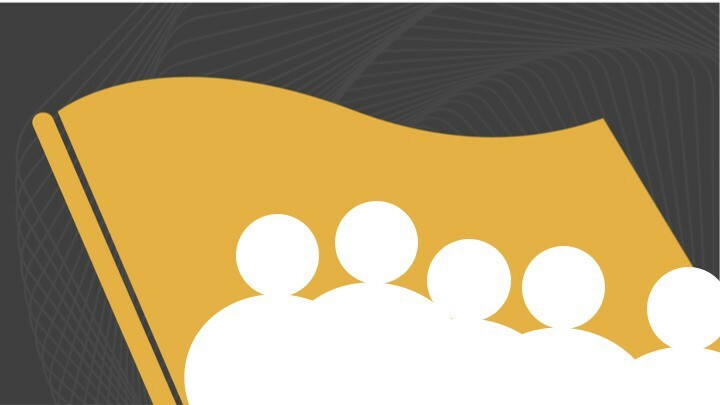 Delegation is the ability for Swarm community members to delegate their voting rights to specific other members based on specific expertise or other capacities. And the SWM Council, whose role is to make sure that decisions being created by the SWM token holders running through the Swarm Democracy Protocol are compliant with the purposes of the organization; if not, the council can veto votes with a simple majority. The council will have 6 members, with elections every 6 months to replace the longest held seat on the council. In upcoming posts we will elaborate in more detail about the Swarm Democracy Protocol and the use of the next version of the Liquid Democracy Voting Module.